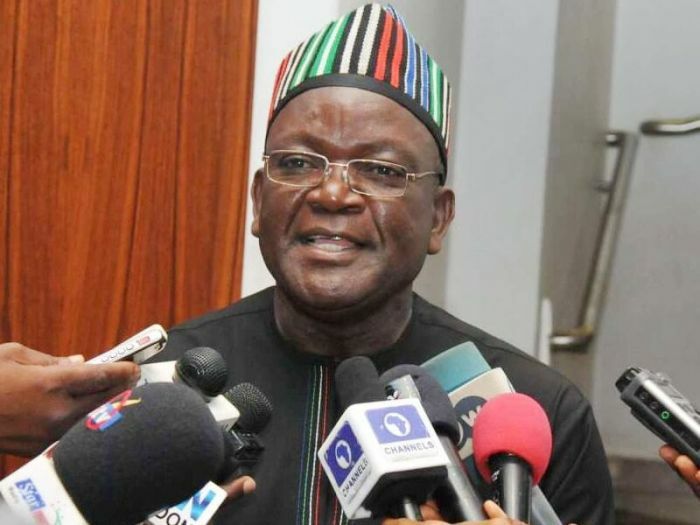 Benue State Governor, Samuel Ortom, on Saturday, condemned the suspension of the Chief Justice of Nigeria, Justice Walter Onnoghen, by President Muhammad Buhari, saying the suspension and his hasty replacement was an attempt by the presidency to truncate democracy and throw the country into anarchy, according to Punch. According to Ortom, Buhari’s decision to unconstitutional sack the CJN, shows that he did not believe in the rule of law, due process and the principle of separation of powers. He further stated that the suspension of the CJN was not only a slap on the judiciary, but also went further to exposes the present administration’s desperate self-succession bid at the expense of the country’s unity and its continued existence. The Governor who spoke through his Chief Press Secretary, Terver Akase in a statement, wondered why the current administration which has no antecedent of respecting court orders acted swiftly relying on a ‘directive’ from the Code of Conduct Tribunal to suspend the CJN. “The hurried removal of Justice Onnoghen appear to have the imprints of the cabal which the President’s wife said is running the government. “I advise the presidency to remember that its integrity is at stake and should reverse the CJN’s suspension in the interest of the country. “The All Progressives Congress’ administration has left no one in doubt regarding its agenda to manipulate the 2019 elections,” Ortom said. He called on all Nigerians to reject the illegal removal of the CJN Onnoghen and every other attempt by the ruling APC to cause a constitutional crisis in the country. The post Governor Tackles President Buhari, Says Onnoghen’s Suspension Is Unconstitutional appeared first on Naijaloaded | Nigeria’s Most Visited Music & Entertainment Website.